My team, the Los Angeles Dodgers, is on the cusp of winning another National League West Division Title but despite being a MLB mobile app subcriber I won’t be able to watch the Dodger’s broadcast of it. Due to what Major League Baseball calls MLB Exclusivities in their blackout policy, baseball fans like myself are kept from sometimes watching the broadcast of their favorite teams. For example, I happen live too close (400 miles away) to the other market (SF Giants) to watch the broadcast of my favorite team (the LA Dodgers). This means I am not able to watch a blacked-out game from the MLB mobile app (At Bat), since the game is being broadcast on local television. This may seem understandable until we look at the details. Does MLB really care about the fan? Here’s the reason why I don’t believe MLB cares much about the fan but more about television deals and company rights. While it’s true there is a broadcast of the game which in my case is between the Dodgers and Giants, the local broadcast is from the Giants (Bay Area) network. (Keep in mind the Giants play over 350 miles away from me.) As a Dodger fan I do not want to watch the Giant’s broadcast and have a MLB subscription specifically so I can watch the broadcast of my favorite team (the Dodgers). On MLB’s mobile app, the subscriber has a choice of both team’s broadcast feeds. If MLB really wanted to fix this issue of blackouts while being fair to their customers and baseball fans, I don’t see why they couldn’t blackout the home market broadcast (if it’s broadcast on a local channel in the market area), while still broadcasting the feed from the visiting team’s network. This would allow fans of both teams access to both of team’s broadcasts. Despite what MLB or any television network might say, I think this is how it should be. Changing this policy and allowing access to both broadcasts, would show they do care about the fans who want to watch their favorite team’s broadcast. What do you think? Feel free to share in the comments below. Why do some Major League Baseball teams get specific days off, while other teams do not? 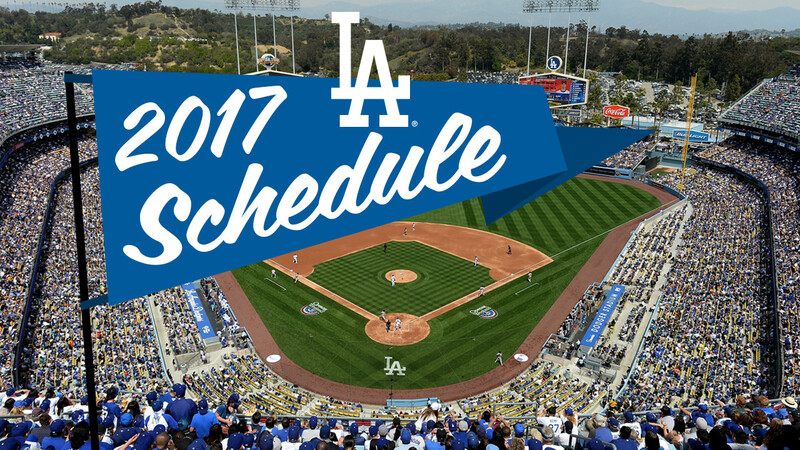 For example, the Los Angeles Dodgers played the Chicago White Sox July 19, 2017 but then must fly home to LA to play the Braves at 7pm on July 20th. Yet, the White Sox team gets Thurs July 20, 2017 off. They then fly or drive a short distance to Kansas City to play Friday. Now I can completely understand a day off for teams to fly and support it. So to my point, why don’t the Dodgers get a day off to fly nearly 2000 miles home? I can only think of one reason for this: Money. The Dodgers bring in more money than other teams so it’s probably in the best interest of MLB (and management) to keep them playing more often. If anyone knows for sure, I would be delighted to know.